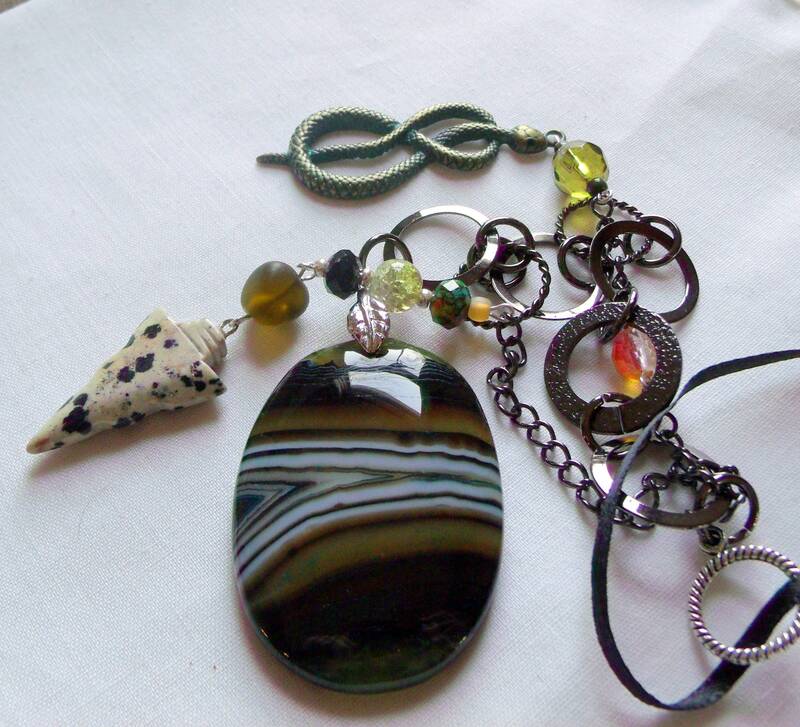 This gorgeous honey green striped agate will add color and texture to your home and the Men cave. 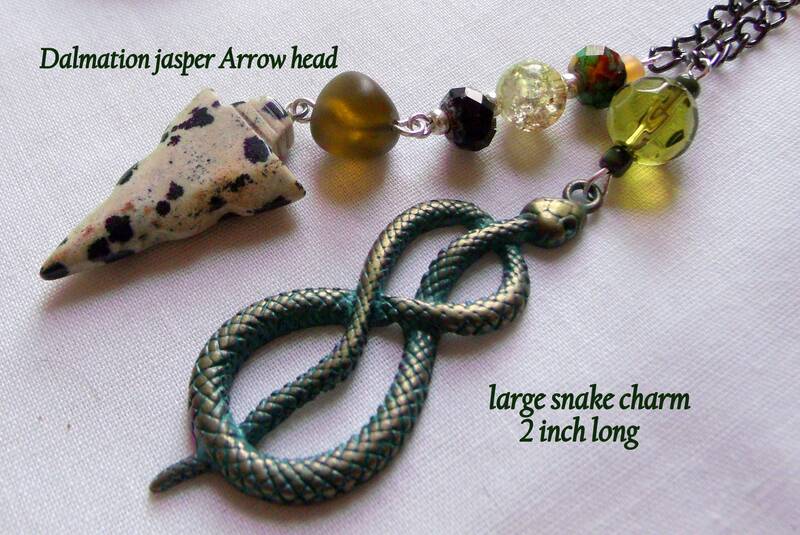 The snake charm adds texture and is an interesting focal charm. 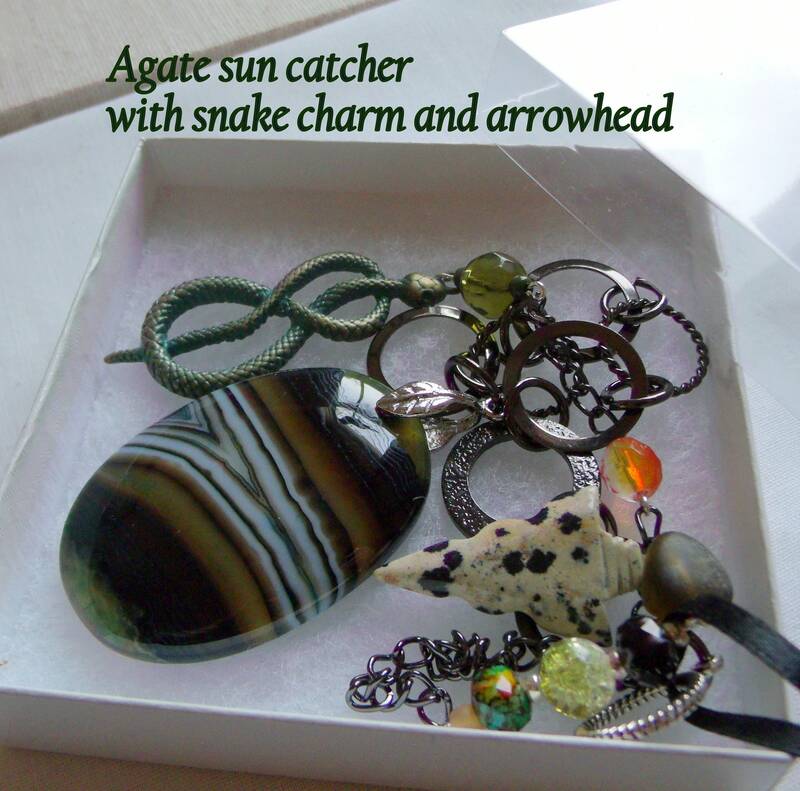 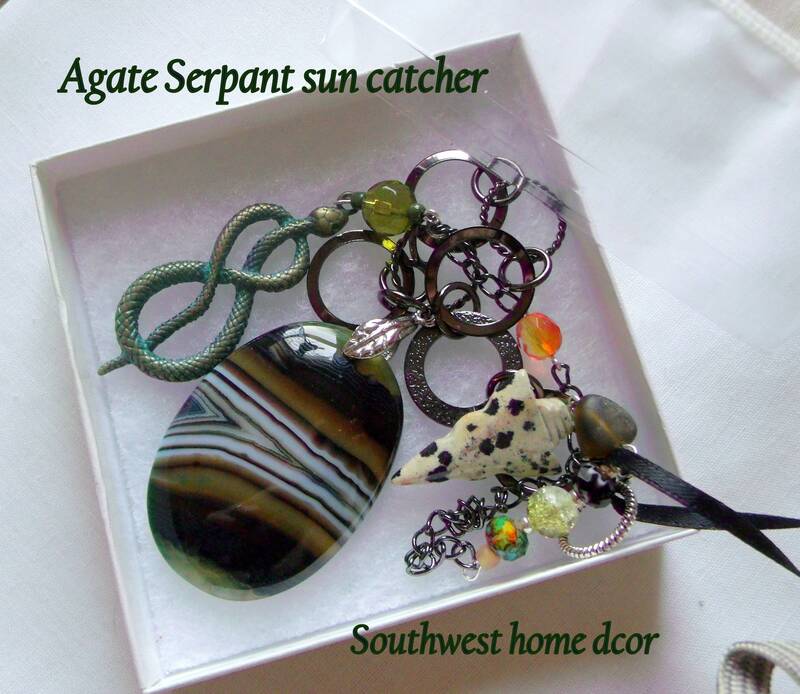 Makes a great teachers gift, for Boyfriends, men cave , nature friends and snake lovers.